Oklahoma Connection | Abernathy was born in Shawnee, Oklahoma. 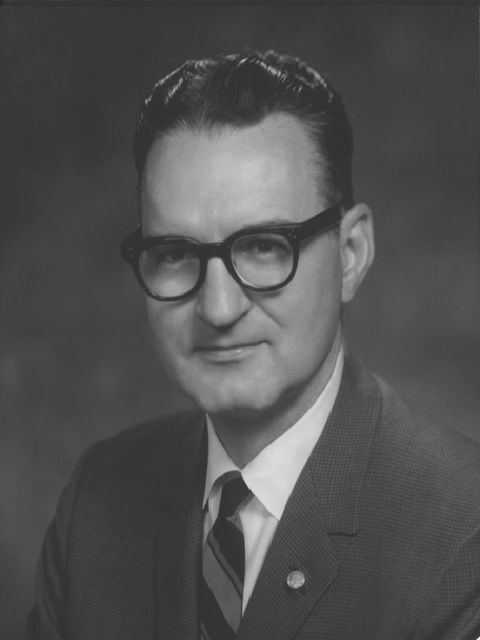 Jack Abernathy worked in petroleum engineering positions with several major oil companies before associating himself with the Big Chief Drilling Company. During his period with Big Chief, it became one of the leading oil well drilling organizations in the world. Native Oklahoman, Jack H. Abernathy graduated with a B.S. in Petroleum Engineering from the University of Oklahoma (1933) with high honors in the depth of the Great Depression. After graduation, he began his career in the oil business as a research engineer for Sinclair Refining Company and moved several times through Sunray and Wilcox Pool Engineering Associates before landing the job as vice president of Big Chief Drilling Company in 1946 and eventually, the presidency in 1958. He also served as director of the Liberty National Bank and Trust Company beginning in 1967, president of the Mid-Continent Oil and Gas Associates, and chairman of the National Petroleum Council. He was named Oklahoma Petroleum Council “Oil Man of the Year” in 1978 and was inducted into the National Petroleum Hall of Fame. Mr. Abernathy was actively involved in a number of civic organizations including Kirkpatrick Center for Science, Oklahoma Educational Television Foundation, and Oklahoma Symphony Foundation. See pictures of Jack H. Abernathy and other media HERE.